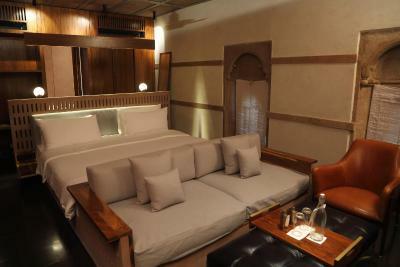 Lock in a great price for RAAS Jodhpur – rated 9.4 by recent guests! 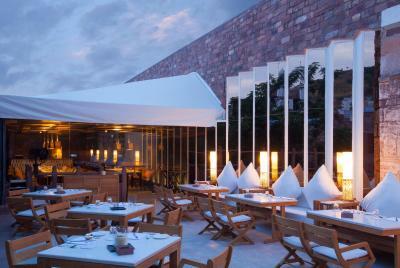 We love this place for its design, service and location just next to Clock Tower. Has to be one of the most beautiful hotels we have ever seen. Lots of spots to spend the day, relax and have some drinks. All around the hotel there’s a whole set of great experiences for food, entertainment, shopping and culture. 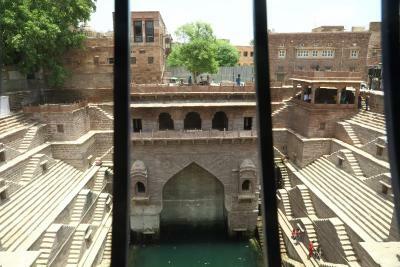 Bishnoi Village Tour was the best thing we’ve done during our 4 weeks in India. Deepak was the best guide EVER! Highly recommend and can be booked from the hotel. Very friendly and service minded staff. Mr. Subrata Bhattacharya gave a good show and introduction to the history of Taj Mahal and made us feel very welcomed. The roof top bar was good and the infinity pool nice, overlooking Agra and Taj Mahal (in the distance). We appreciated the room service and the restaurant that had a good meny and great service. Overall a very nice stay. Would definitely stay there again. 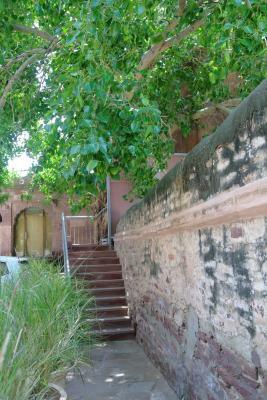 Charming setting overlooking the fort. Vintage architecture really hits the spot. Amazingly warm and welcoming staff; special mention for Akash. Personalised care. Highly recommended!!! 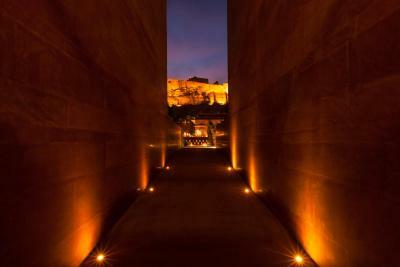 It was an oasis of calm and relaxation in the hub Bub of Jodphur. The staff was friendly and helpful and the no-tipping policy was such a weight off my shoulders after tipping my way through India! 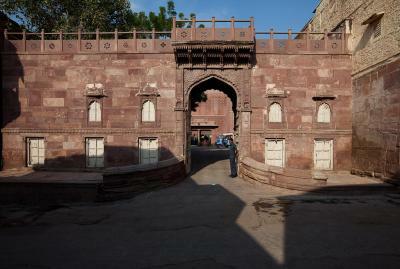 The view of the fort as you walked into the hotel grounds was one of the best ever at a hotel. Excellent location and property itself is nice. Appears to have been build during a time of much excitement only to be forgotten about. 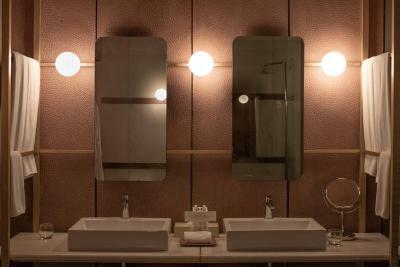 It was a magical place with beautiful rooms and an excellent staff. 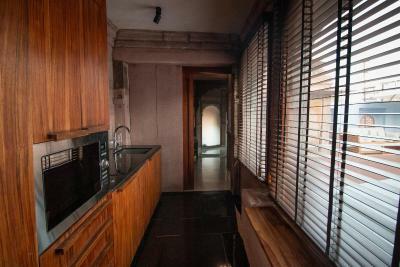 RAAS Jodhpur This rating is a reflection of how the property compares to the industry standard when it comes to price, facilities and services available. It's based on a self-evaluation by the property. Use this rating to help choose your stay! 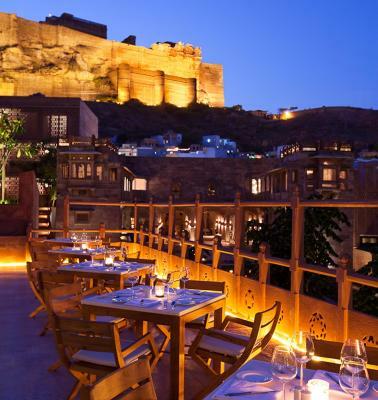 Featuring intricately carved Haveli-style architecture, Raas Jodhpur, a boutique hotel houses a spa, an outdoor pool, and 2 dining options, including a restaurant overlooking the magnificent Mehrangarh Fort. 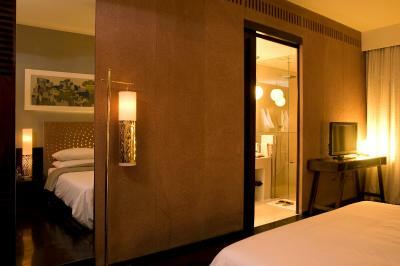 It also offers 24-hour room service and complimentary WiFi access. 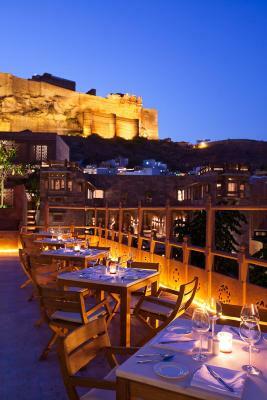 The property is 1,650 feet from Clock Tower and 1.2 mi from Mehrangarh Fort and Jodhpur Railway Station. Jodhpur Airport is 4.3 mi away. 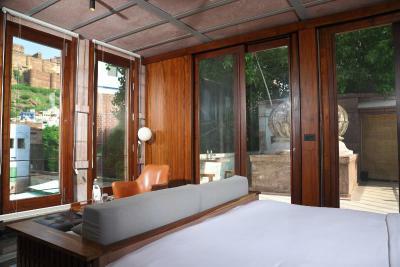 Fitted with a balcony, the contemporary air-conditioned rooms feature a flat-screen TV with satellite channels, a wardrobe and a seating area. 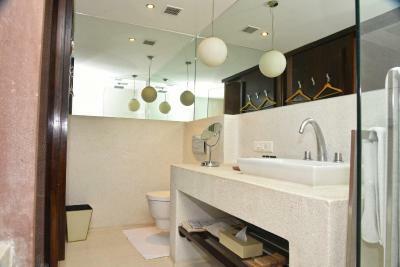 The stylish bathroom comes with shower facilities. 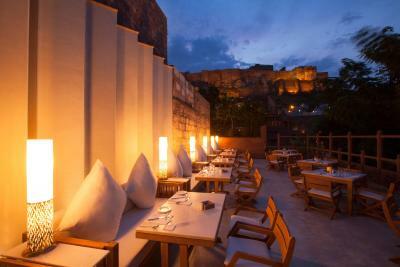 Darikhana offers meals, accompanied with splendid views of the Mehrangarh Fort from its terrace. Offering international delights, Baradari Restaurant serves the daily breakfast and lunch, with Thai and Mediterranean specialty dishes. Guests can head to Raas’ 24-hour reception for assistance with use of meeting facilities, or laundry and car rental services. Travel arrangements can be made at the tour desk. 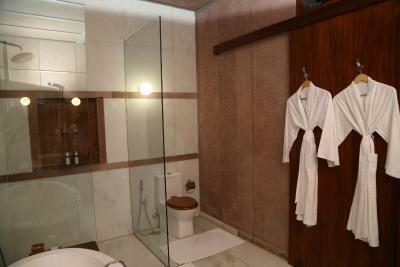 A pampering spa can be enjoyed at RAAS spa. 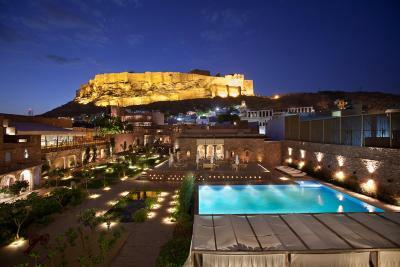 When would you like to stay at RAAS Jodhpur? 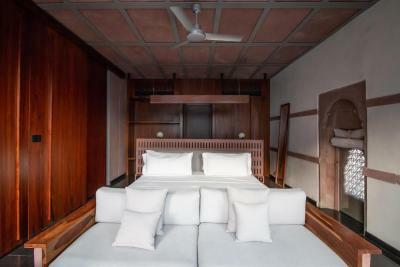 Fitted with a balcony, the contemporary air-conditioned rooms feature a flat-screen TV with satellite channels, a wardrobe and a sitting area. The stylish bathroom has shower facilities. 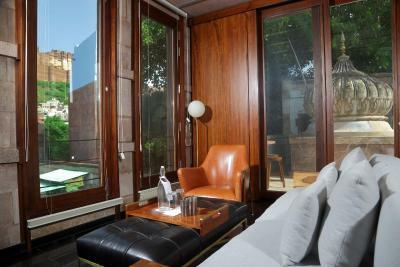 These rooms have garden views. 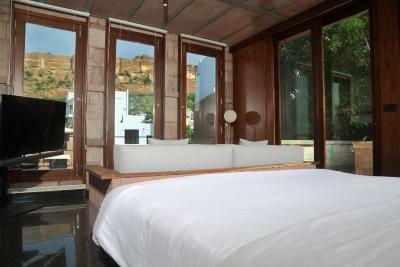 The rooms have a sofa, and offer stunning views of the Mehrangarh Fort. Fitted with a balcony, the contemporary air-conditioned suites feature a flat-screen TV with satellite channels, a wardrobe and a sitting area. 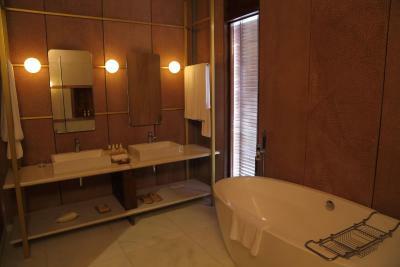 The stylish bathroom has shower facilities. 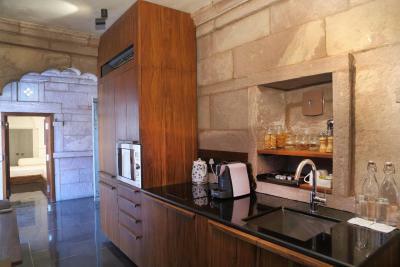 In the modern block, these spacious duplex suites feature a living room with a sofa, and views of the Mehrangarh Fort. 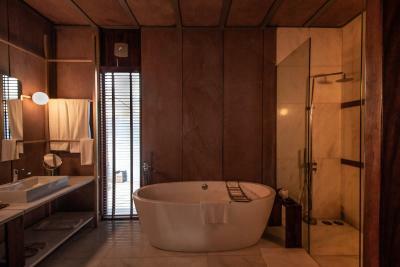 Offering views of the Mehrangarh Fort, these spacious suites feature a bathtub, a courtyard and a living room with a sofa. 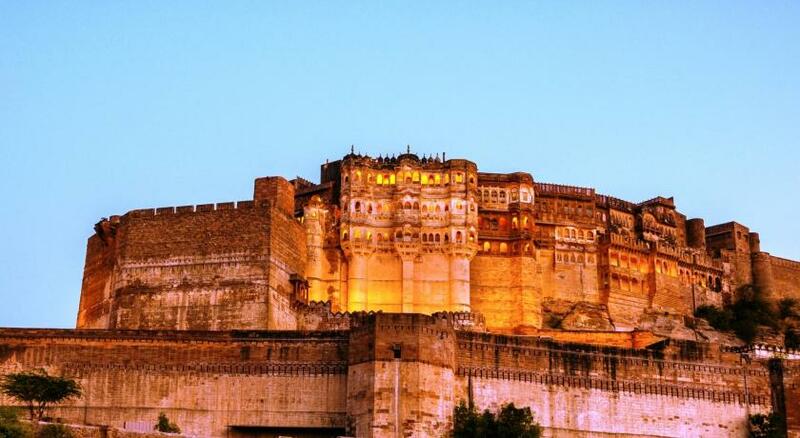 RAAS JODHPUR – a Luxury Boutique Hotel, set under the imposing stare of Mehrangarh Fort, situated in the prestigious North-Easter quarter of the Walled City and a stone’s throw from the Clock Tower. 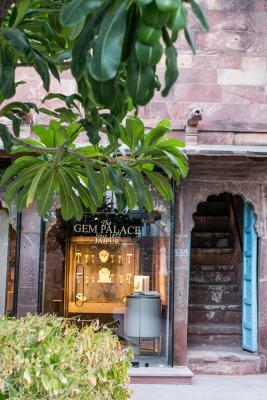 The hotel is built around an immaculately restored haveli, which houses the Heritage Suites, spa, boutiques and excellent Baradari and Darikhana Restaurant, serving both Indian and International food. 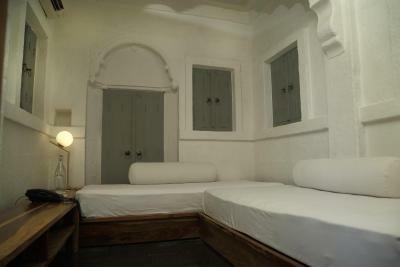 Other rooms are in three modern buildings, built using traditional techniques and local materials, and overlooking the Mehrangarh Fort. 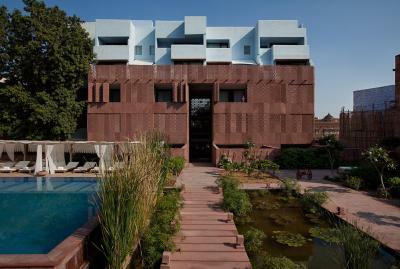 House Rules RAAS Jodhpur takes special requests – add in the next step! 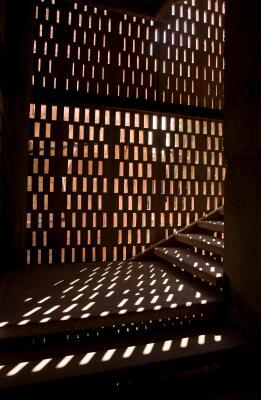 RAAS Jodhpur accepts these cards and reserves the right to temporarily hold an amount prior to arrival. Mandatory dinner rate includes soft beverages & taxes (excluding alcoholic beverages). We find the International menu limited and not very attractive. Indian menu is great tho. All the back rooms, at the bottom of the hotel, while beautiful and amazing to enjoy during the day, have a big flaw after sunset. The lack of proper soundproofing makes the noise at night very bad, and we are not easily bothered. Cars, rickshaws honking, people shouting until 12 - 1 AM and packs pf dogs barking all night. Its either ear plugs or getting wasted to sleep well. There was a wedding next to the hotel when we stayed and the music was amazingly loud. Price to be paid to be within the city life I guess but the hotel staff should have told us in advance! Some European options were poor- Italian anti pasta for example very poor and staff unsure how to serve cheese plate. This is a stunning hotel the staff chef butler and house keeping can’t do enough for you. The hotel is located just behind the market and click tower. It’s safe to walk around and admire shops and locals. The local Mosque is close by and even with ear plugs the 6AM wakeup is inevitable. The surroundings are quite noisy anyway. reaching the hotel by car is complicated (our driver left us at the Clock tower and we got a Tuc-tuc to get to the hotel. A quiet haven in a vibrant city. 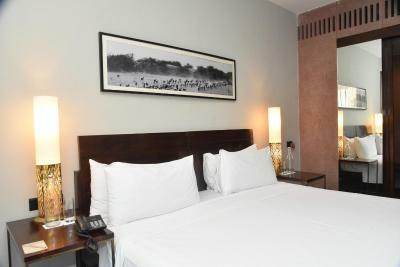 A lovely hotel with excellent restaurants with a heated pool and gardens. I loved all about Raas! The property is just perfectly located. 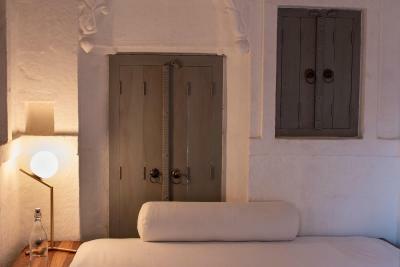 The gardens and rooms are wonderfull and the staff incredible! The secret passage to the well was an unexpected jewel! Even though the hotel provided ear plugs the call to prayer at 6am from the mosque right next door to the hotel work me up every morning and I couldn’t get back to sleep. The gardens in the hotel are gorgeous and everywhere you go in the hotel has amazing views of the fort including sitting by the pool. Being able to just wonder straight out into the old town was great with lots of bars and restaurants close by. The lighting is dim in the room. Pool service is variable, would have been good if rooftop bar opened earlier. 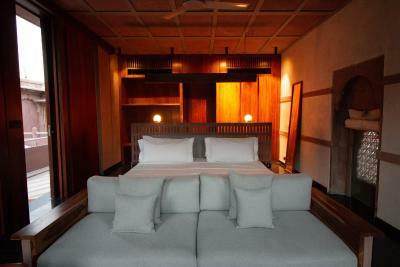 Beautifully designed hotel. 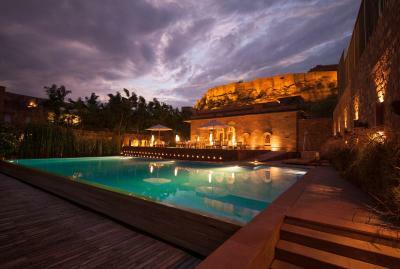 A total haven in the midst of Jodhpur.